According to the nonpartisan Tax Foundation, just six states — California, New York, New Jersey, Illinois, Texas, and Pennsylvania — claimed more than half of all SALT deductions nationwide. (Emily Cadei, McClatchy Washington Bureau) One of the most contentious fights of the Republicans’ tax law is about to go another round. Democrats from high-tax states — including California — are preparing a new push to restore the state and local tax deduction, which the law capped, when Democrats take control of the House next year. The SALT deduction, as it’s known, allows taxpayers to deduct state and local income, sales and property on their federal tax returns, It’s especially popular in states where local taxes and the cost of living are high. Members of Congress from those states — particularly New York, New Jersey and California — protested the cap, which allows people to deduction up to $10,000 of state and local taxes. But they could not to strip it from the 2017 law. With Democrats in the majority in the House next year, however, SALT’s top defenders are ready to try again. They are hoping that as taxpayers begin to file their returns under the new rules in the coming months, the backlash will give their effort a political boost. “I think we’re in for an interesting filing season,” said Jack Peterson, associate legislative director at the National Association of Counties. Leading the charge on legislation to renew SALT is Rep. Bill Pascrell of New Jersey, a senior Democrat on the Ways and Means tax writing committee. “We’re working on it now,” Pascrell said. 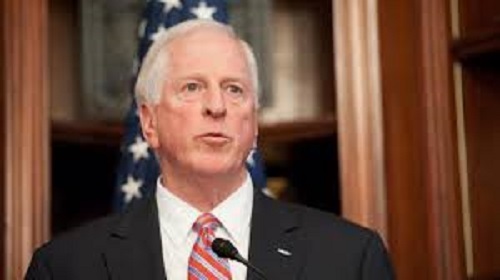 “We’re going to have hearings on it,” said Rep. Mike Thompson, D-Calif., another senior Ways and Means member. “We’re going to look into the whole tax code and see what we need to do” to adjust the Republican-backed law. Given the partisan divided in Congress, it’s unlikely that new SALT provisions in will pass 2019, but proponents of the deduction want to lay the groundwork for a deal in the coming years. They have some leverage: the $10,000 cap on the deduction, like most of the rest of the individual tax changes in last year’s law, expires in 2025. But that also means the pressure to address the issue is still several years away. The politics of SALT are also complicated, dividing politicians not just along party lines, but also geographically. According to the nonpartisan Tax Foundation, just six states — California, New York, New Jersey, Illinois, Texas, and Pennsylvania — claimed more than half of all SALT deductions nationwide. California alone was responsible for nearly 21 percent of them. According to California Franchise Tax Board, about 2.6 million taxpayers in the state each deducted more than the $10,000 limit in state and local taxes in 2015. Of that group, about 1 million will owe more in taxes in 2018 — about $12 billion collectively. About $9 billion of that will be paid by about 43,000 Californians who make $1 million or more. But some middle-class taxpayers are likely to pay more, too. According to tax board estimates, 751,000 California households with incomes under $250,000 will probably owe a combined $1.1 billion. And given the high cost of living in the state, $250,000 does not feel like nearly as much money as it does in other parts of the country. Defenders of the SALT deduction argue that it also enables state and local governments to implement more progressive tax systems and pay for more local services. Peterson said county officials are concerned that as residents realize their tax bill is going up, they will begin to complain to their local leaders.